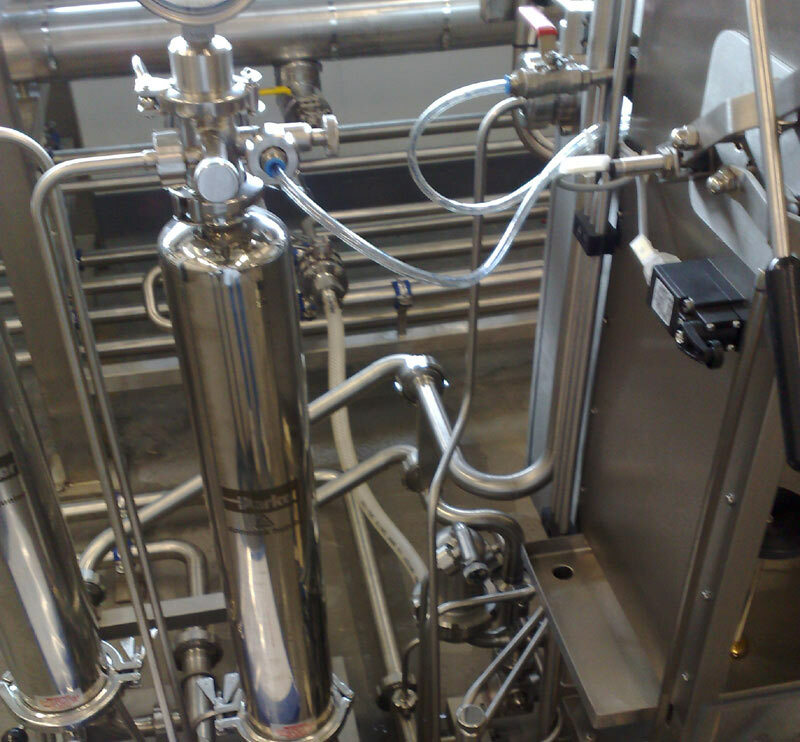 The Moravek CW400 is an inline carbonator and semi automatic counter pressure bottle filling machine which can also be used for filling kegs. The CW400 is widely used for small scale, low volume production of carbonated products such as beer, cider, hard cider, sparkling wines and carbonated soft drinks into a wide range of container sizes. Over 350 CW machines have been supplied worldwide over the past 20 years to a satisfied customer base. The Moravek CW400 is a simple, compact and reliable machine making it very popular with companies filling carbonated products for the very first time as a step one entry into bottling and/or kegging. 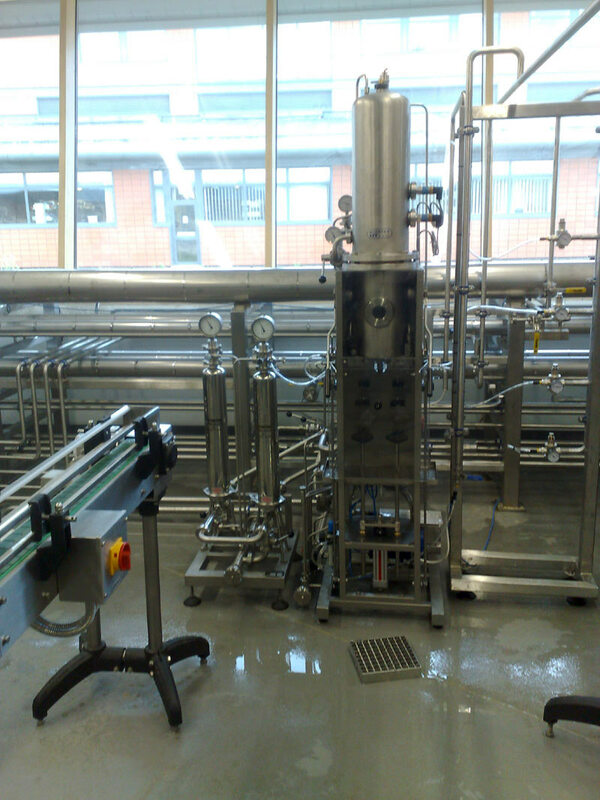 Improved filler performance – The Moravek carbonator delivers consistent and stable carbonated product to the counter pressure filler resulting in efficient filler performance. Moravek’s typical high quality and robust machine construction along with having the carbonator and counter pressure fully integrated as a single unit provides very reliable production performance whether the machine is used one day per week or seven days per week multi shift operation. Bottle size range = height 180mm to 340mm and Ø140mm maximum diameter. Capable of handling a wide range of range of beverages including beer, cider, hard cider, wine, champagne, soft drinks, and mineral water. 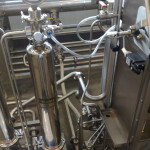 Automatic carbonated product transfer from carbonator to the counter pressure filler. Carbonating range fully adjustable from 2.0g/L to 8.0g/L CO2 content (1 to 4 volumes). Flexible machine which is simple to operate. Low cost maintenance and operating requirements. 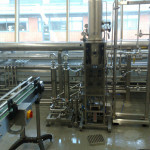 Gas flush double pre evacuation option available for beer – pilot plant application. Chilling coil located in carbonating chamber to reduce / hold product temperatures prior to filling..
1 and 0.45 micron sterile filter cartridges & housings for beer and clear ciders.